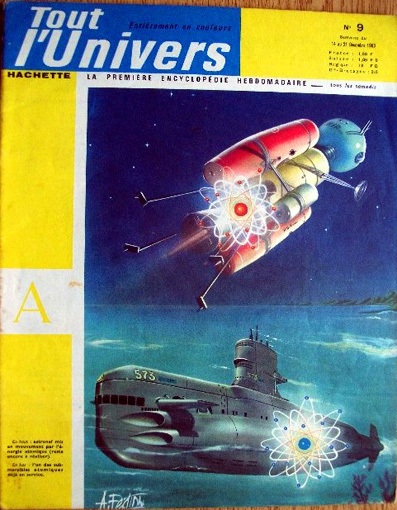 Your atomic rocket's fuel is gonna be Uranium-233, Uranium-235, and/or Plutonium-239. These are rare, so they will also use breeder reactors to turn worthless Uranium-238 into valuable Plutonium-239, and worthless Thorium-232 into valuable Uranium-233. Since the perversity of the universe tends towards a maximum, the ore has about a hundred times more of the worthless stuff than the good stuff. Good ol' O'Toole, you can count on him. The propellant is gonna be liquid hydrogen, but you knew that already, right? Plutonium-239 can also be used to make nuclear bombs. This is why atomic fuel gives the authorities sleepless nights. This is also the insane reason that "spent" reactor fuel rods are thrown away even though they contain 85% of their valuable uranium unburnt! Reprocessing the rod to recover the un-burnt uranium would also recover unwelcome freshly-made plutonium. The authorities figure it makes more sense to throw away the valuable uranium rather than being stuck with the job of guarding the plutonium. You never know if Somebody Evil might steal it in order to make atom bombs. Or Somebody Opportunistic might steal it in order to sell it on the black market to Somebody Evil. For nuclear fission, the main fuel types are Uranium and Plutonium, specifically 235U, 233U, and 239Pu. Plutonium-239 is also used in nuclear weapons. In science fiction stories, these are often called "power metals." Also very valuable are Thorium-232 and Uranium-238. They are worthless as fuel, but they are about a hundred times more plentiful and an application of neutrons transmutes them into useful fuels (the technical term is "fertile"). 238U transmutes into 239Pu, and 232Th transmutes into 233U. One generally sees these reactions used in a Breeder Reactor or a Thorium Fuel Cycle reactor. In a breeder reactor, the worthless but fertile Thorium-232 captures a neutron, becoming Thorium-233. It does a beta-decay becoming Protactinium-233. It then does a second beta-decay, becoming valuable Uranium-233. In a breeder, worthless but fertile Uranium-238 does much the same thing, becoming Uranium-239, then Neptunium-239, and finally valuable Plutonium-239. Currently most of the governments of the world are rather hostile to the idea of breeder reactors, due to fears of nuclear proliferation. It would be different if the breeders produced 235U, but the blasted things make plutonium (aka the sine qua non of nuclear weapons). The governments are also opposed to fuel reprocessing for the same reason. This puts the nuclear industry in the ridiculous position of trying to find ways of safely throwing away used reactor rods that still contain 85% of their valuable 235U un-burnt. 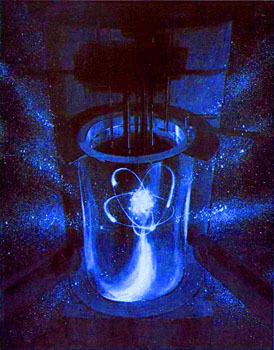 From a commercial power standpoint, it would have made more sense back in the 1940's to have developed thorium power reactors. Unfortunately for commercial power, back then the priority was creating large stockpiles of plutonium for the US military's nuclear weapon needs. Commercial power was only a secondary concern. So plutonium producing uranium reactors were developed instead. Now that the cold war is over, commercial power is stuck with mature but inconvenient nuclear technology that creates unwanted plutonium. By comparison, thorium reactor technology is very immature. Lots of research money will have to be spent to bring it to maturity. Recently India announced that they were pursuing thorium reactor technology, due to that country's large thorium ore deposits. Having said that, Luke Campbell points out thorium power reactors are not quite as weapon-proliferation free as the proponents like to think. For one thing it is quite possible to make a nuclear weapon out of 233U. 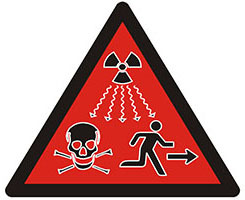 There are some notes about proliferation risks of thorium reactors in this report. In my recent appearance on The Space Show I made the observation that we have (or, rather, the nation-states of the world have) decided to forego some of the existential opportunities of nuclear technology in order to mitigate the existential risk of nuclear proliferation. 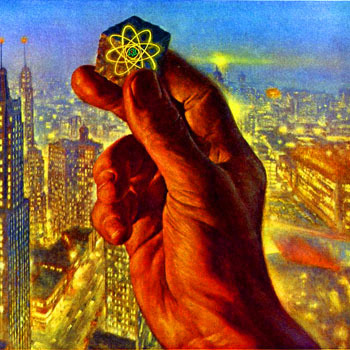 We have not entirely eliminated nuclear technology, but what nuclear technology we do use operates under strict regulation intended to prevent the proliferation of fissionable materials. 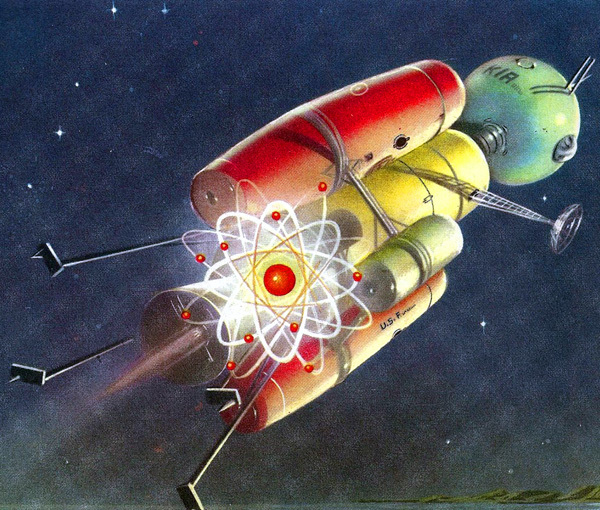 I said that nuclear technologies represent an existential opportunity because nuclear rockets could have opened up the solar system to human exploration and settlement. 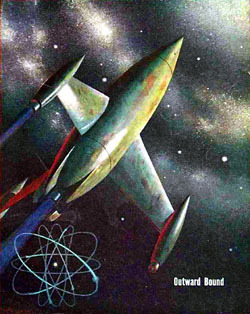 Both rocket and nuclear technologies emerged during the Second World War and were rapidly developed during the post-war period. 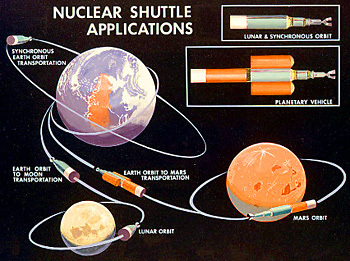 There were many nuclear rocket technologies on the drawing board, and nuclear power might also have provided power for plasma engines or for human settlements in space or on other worlds. But the nuclear rocket industry was strangled in the cradle due to nuclear proliferation concerns (which I discussed in Secrecy and the STEM Cycle). So, with this in mind, here is my thought experiment, which takes the form of an impossible choice. Suppose that a genie appeared to you (perhaps an evil genie) and offered you this choice: either your society can accept nuclear technology, with all its dangers and opportunities, or it can reject nuclear technology and go without both its dangers and opportunities. Your society can have a proliferation of uses of nuclear technology, with nuclear reactors in cars, trains, ships, and planes, but also the pervasive risks due to easily available fissionables, or nuclear technology can be eliminated or so limited that it poses little threat because it provides few opportunities. Suppose that the genie ups the ante by being a little more specific: accept nuclear technology, and with it you will lose one city every 25 years to a nuclear attack; reject nuclear technology and there will be no more cities lost to nuclear attacks. This is the “trolley problem” for civilization entire, and not merely for a handful of persons. As impossible as this choice is, human society did, on the whole, face something like this choice. For all practical purposes, human society was offered the genie’s deal, and it chose safety, existential risk aversion, and the foregoing of existential opportunity over a more dangerous world, which latter would also have been a world with greater opportunity. With the atomic bombs that brought an end to the Second World War, the nuclear genie was out of the bottle. But then something almost unprecedented in human history occurred: though the nuclear genie wasn’t quite stuffed back into the bottle, it was put on a very short leash. The uses of nuclear technology came under intense scrutiny, and fissionables in particular were tightly regulated. Moreover, this regulatory regime was not limited to a few nation-states, but was global in its efficacy, which it had to be, because uranium was mined all over the world, and came to be used all over the world. 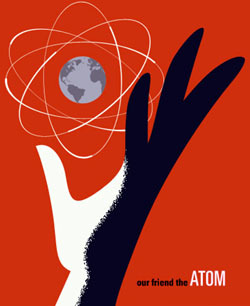 Suppose human society had made the other choice, allowing nuclear technology to proliferate, which would have led to dramatic developments, perhaps a nuclear industrial revolution, but at the same time this choice would have meant more nation-states possessing nuclear weapons and terrorist groups being able to acquire nuclear weapons. And, according to the genie’s dictates, we lose a city every 25 years – four cities a century. Within a couple of hundred years of the beginning of the nuclear era, many of the planet’s largest and busiest cities would have been destroyed – London, Paris, Moscow, Beijing, New York, LA, Cairo, Delhi, and so on – whether in local nuclear conflicts or due to nuclear terrorism. This would mean the deaths of tens of millions of people, and these sites contaminated by radioactivity. But this level of destruction would not be sufficient to cause a generalized collapse of civilization on a planetary scale. Many would die, many more would suffer horribly, but life would go on. There would probably have been some dud devices as well, and a few fizzles, in which the yield of the explosion was too small to destroy the target city. Some targets would dodge the bullet, but not all of them. This picture of Earth experiencing nuclear conflicts and nuclear terrorism incidents every two or three decades would occur in the context of human civilization experiencing an early spacefaring inflection point and a breakout to spacefaring civilization beginning in the last quarter of the twentieth century. (On early, mediocre, and late breakouts to spacefaring civilization cf. 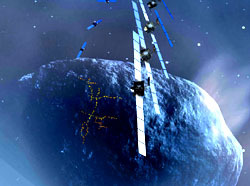 The Spacefaring Inflection Point.) The horror, then, would be counterbalanced by great human accomplishments. Perhaps it might even be the case that accepting the existential risk of nuclear war and nuclear terrorism would have coincided with the overall existential risk to civilization being reduced, because human civilization would have outposts on other worlds, and therefore redundancy. I’ve formulated horrific thought experiments previously, such as An Horrific Thought Experiment, though in this previous example the mortal risk was to the individual, whereas this present thought experiment involves mortal risk to millions, and perhaps also existential risk to civilization. In retrospect we can see what choice was made, and we can argue if this was the right choice or the wrong choice, but I think that most of us can understand why this choice was made. And I will go farther and speculate that most individuals would have made the same choice. John Maynard Keynes once wrote, “There is no subtler, no surer means of overturning the existing basis of society than to debauch the currency. The process engages all the hidden forces of economic law on the side of destruction, and does it in a manner which not one man in a million can diagnose.” I might say the same thing about the future: the lowering of horizons debases our hopes for the future, but not one man in a million understands the true source of despair. Surrendering existential opportunities in order to avoid existential risks is like this: it is a surrender of a part of the future, and the more reduced the future is in stature, the less hope there is in the present. So, how far can your ship go before it runs out of gasoline? Look at the table, find the fuel your ship uses, and look up the J/kg number (joules per kilogram, if you care). Divide the watts your engine produces by the J/kg and you'll see how many kilograms of uranium or plutonium you'll use up per second of thrust. It will probably be a tiny fraction of a gram, that stuff is potent. Keep in mind that the reactor or engine is probably going to require 2 to 50 kilograms of nuclear fuel to create a critical mass. So even if your reactor only needs to burn a couple of grams a week, the reactor still needs several tens of kilograms of fuel to be present in order to allow the few grams to burn. Also keep in mind that your fuel rods will become so choked with nuclear poisons that they will stop producing energy even though most of the fuel is un-burnt. See reprocessing below. Now I'm going to go into the boring scientific details, so if you are not interested you'd best skip to the next section. Each fuel type has a certain amount of energy given off when each of its atoms split (or "fission"). This is measured in units called "electron volts" or "eV". For nuclear physics, it is useful to use units of "millions of electron volts" or "MeV". Uranium-235 fissions produces 202.5 MeV per atom, Uranium-233 produces 197.9 MeV and Plutonium-239 produces 207.1 MeV. You can find these values in Wikipedia or any nuclear physics textbook. If you want to calculate the values yourself, the equations are here. There are 1.602602214179×10-13 joules in 1 MeV, so Uranium-235 fissions produces 3.244×10-11 joules per atom, Uranium-233 produces 3.171×10-11 joules and Plutonium-239 produces 3.318×10-11 joules. The question then becomes "how many atoms are in a gram?" The answer was told to you in chemistry class, when your eyes glazed over as the professor talked about "molar mass" and the "Avogadro constant". Avogadro constant is about 6.02214179×1023 mol-1. This means if you made a pile of 6.02214179×1023 Uranium-235 atoms it would weigh exactly 235 grams. A pile of that number (one "mole") of Plutonium-239 would weigh exactly 239 grams. The point is, you can use this to convert between atomic mass units and grams. Basically you divide Avogadro constant by the atomic mass of the element to find the number of atoms of that element in one gram. So Uranium-235 contains 6.02214179×1023 / 235 = about 2.5626135×1021 atoms per gram. Now simply multiply each element's joules per fissioned atom by the number of atoms per gram and you'll have the amount of joules produced by totally burning the entire gram of nuclear fuel. For example: Uranium-235 produces 3.244×10-11 joules per fission, times 2.5626135×1021 atoms per gram gives us 8.3131182×1010 joules per gram. Divide by 109 to obtain 83.14 terajoules per kilogram (109 means multiplying by 103to get joules per kilogram then dividing by 1012 to get terajoules per kilogram). One watt is one joule per second. So if you want to produce 83.14 terawatts, you'll have to burn 1 kilogram per second. This equation assumes that a 1 kW reactor puts out an additional 1.26 kW in penetrating radiation (mostly neutrons) with an average penetration (1/e) of 20 g/cm2. 80 Sieverts is enough to instantly put a person into a coma, with certain death in 24 hours. Since this is over ten times that amount, per second, this engine is going to need lots of radiation shielding. The life cycle of nuclear fuel is a complicated subject. In nature, uranium is found as uranium-238 (99.2742%), uranium-235 (0.7204%), and a very small amount of uranium-234 (0.0054%). This means that only seven-tenths of one percent of a given lump of uranium is useful as fuel. Luckily the 238U can be turned into plutonium fuel by a breeder reactor. Plutonium does not occur naturally at all. Pretty much all naturally occurring Thorium is Thorium-232. Thorium is more plentiful than Uranium. For lack of any better information, I'd assume that the above figures would hold true for uranium deposits on other planets, moons, and asteroids. Separating the 235U from the 238U (the technical term is "enrichment") is a royal pain. This is because the two are isotopes of the same element, which means quick and easy chemical techniques will not work at all (or only with great difficulty). As far as chemistry is concerned, 235U and 238U are the same thing. Chemistry works on an atom's electron structure, and both isotopes have an identical 92 electrons, of which 6 are valence electrons. The only difference is inside the atomic nucleus, out of the reach of chemistry but vital to nuclear reactions. There are several uranium enrichment methods, all of which require a very high technology base and are annoyingly expensive. When a rogue nation starts investing in such technology it is cause for alarm. The dissasembler of a Santa Claus machine can easily create enriched fissionables out of raw ore with its mass spectrometer. It can reprocess fuel rods as well. Which is why they will be strictly controlled by the Santa Guard. Some heavy-water nuclear power reactors can actually manage to run with the thin gruel of natural uranium, with only 0.7% 235U. Other require Slightly enriched uranium (SEU) with 235U concentration of 0.9% to 2%. Low-enriched uranium (LEU) has a concentration of 235U from 2% to 20%, and is used in light water reactors. Anything above 20% is Highly enriched uranium (HEU) (used in fast-neutron reactors) and above 85% is Weapons-grade uranium (used in nuclear weapons). I'm still trying to find some solid figures on the levels of enrichment on the reactor elements in a nuclear thermal rocket. The only source I've found suggests it will be from 60% to 93% 235U!! (apparently the old NERVA ran on 90%) In 2014 NASA contracted BWXT to design a NTR engine that would run on 20% enriched uranium, which will make the military less paranoid. The opposite of enriching is downblending; surplus HEU can be downblended to LEU to make it suitable for use in a power reactor. As you burn your uranium fuel rods, the blasted things clog up with nuclear poison crap. Eventually they won't burn any more, even though they still got plenty of fuel in them. Too much clog. All you can do is replace the rods, and send the clogged rods to a fuel reprocessing plant. You better have some spare rods aboard, Captain Peter Peachfuzz, or your ship might be out of gas a long way from nowhere. The plant will melt 'em down, filter out the crap, and make new rods. Which is a royal pain in the posterior, see Processing above. The experts ain't gonna tell us how much is "too clogged with poisons" is. Best guess I've read is at 15% fuel burnt (85% unburnt) for standard rods, 50% fuel burnt for rods made out of weapons-grade uranium salted with burnable poisons. As a fuel rod undergoes a chain reaction, it gradually fills up with nuclear poisons. Eventually it is so full of poisons that it will no longer react. There is still plenty of fuel left in the rod (only about 15% of the fuel has been burnt), but it is too clogged with poison. The rod has to be removed and sent to a fuel reprocessing plant. The plant filters out the poisons and can recover 55 to 95% of the un-burnt fuel, to be made into a new fuel rod. With reprocessing, in the long term each totally consumed kilogram of plutonium or highly enriched uranium (HEU) will yield ~1 × 1010 newton-seconds of impulse at a specific impulse of ~1000 seconds. Dr. John Schilling also warns that there is a minimum amount of fissionable material for a viable reactor. Figure a minimum of 50 kilograms of HEU. The higher the level of enrichment, the longer the fuel rod can burn until it becomes clogged with nuclear poisons. That's why the nuclear thermal rocket uses HEU (or even weapons-grade) instead of LEU. Dr. Schilling figures that as an order of magnitude guess, about one day of full power operation would result in enough fuel burnup to require reprocessing. Another source (a certain Mr. Wilde) suggested that if your rods are weapons grade but salted with "burnable poisons", you could get 10,000 to 20,000 effective full power hours out of your rods. Your rods will become clogged after 50% of the fuel has been burnt, instead of only 15%. At this point, the principal concern starts becoming neutron embrittlement of the reactor vessel rather than fuel burnout. He goes on to say that the purpose of burnable poisons is to allow you to use very highly enriched uranium as fuel during early core life. The highly enriched 235U would generate far too much positive reactivity at BOL (beginning of life) to work with, and this is dampened with elements that absorb neutrons and then decay to or become an isotope of something that which does not (the burnable part), over core life so that the average positive reactivity add of the uranium is relatively even throughout core life. As another data point, there are some indications that US Navy nuclear submarines use fuel rods that are above 90% 235U. Their reactors are designed to run for 30 years, but the reactors are NOT designed to be re-fueled. The exact details are classified. One must always keep in mind that all this life-cycle and reprocessing stuff only applies to solid-core rockets (and nuclear-lightbulb close-cycle gas core). Liquid-core and (open-cycle) gas-core nuclear thermal rockets eventually blow all their nuclear fuel out their exhaust nozzles into the vast depths of space, so there is no way to take the expended fuel back to a reprocessing plant. This is why such propulsion systems put a premium on keeping the nuclear fuel inside the reaction chamber as long as humanly possible, if the unburnt nuclear fuel loss is too high such propulsion systems are too uneconomical to be used. One theory of solar system formation is that there are more metals in the inner solar system. That would mean most of the uranium can be found at Mars, Mercury, Earth, Luna, Venus and asteroid belt. Dr. Ethan Siegel is of the opinion that the planet Mercury has more deposits of fissionables than Terra. 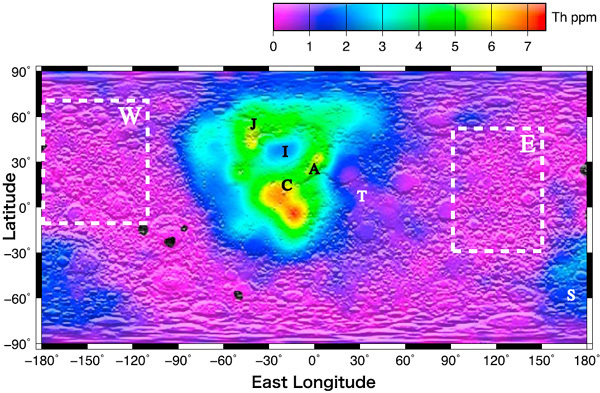 In 2009, the Japanese Kaguya spacecraft detected uranium with a gamma-ray spectrometer as it orbited the Moon. Unfortunately it detected that uranium was in short supply on the Moon, less than the concentration in terrestrial granite. Uranium and thorium seem to be concentrated in KREEP. Lunar maria regolith is from 0 to 2 ppm uranium and up to 7 ppm thorium. urKreep is about 5 ppm uranium, and some Apollo samples had up to 20 ppm. On Terra, uranium ore is considered to be low grade if it is only 100 ppm. 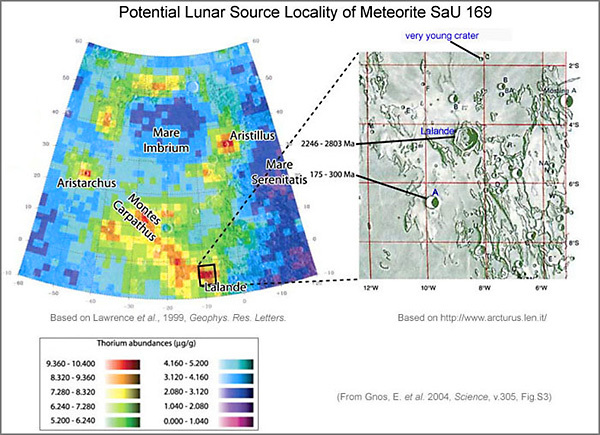 The uranium/thorium ratio in lunar materials is about 0.27. The Kaguya map has a resolution of only 130 kilometers, so 7 ppm in a pixel could mean a smaller area with far more. The asteroid Vesta is what astronomers call an "evolved object" or "protoplanet." This means it has a distinct core, mantle, and crust; unlike common asteroids that are more homogeneous. Objects become evolved if they are formed with enough radioactive material inside to melt the rock. I am unsure if this implies that Vesta has deposits of uranium large enough to be worth mining, but it's a start (some of my reading suggests that asteroid melting is caused by the decay of Aluminum-26, which is worthless as atomic fuel). Other known protoplanets are Ceres, Pallas, and Kuiper Belt dwarf planets. For what it is worth, meteors tend to only have 0.008 ppm uranium. The four white dots indicate the highest concentration of thorium. 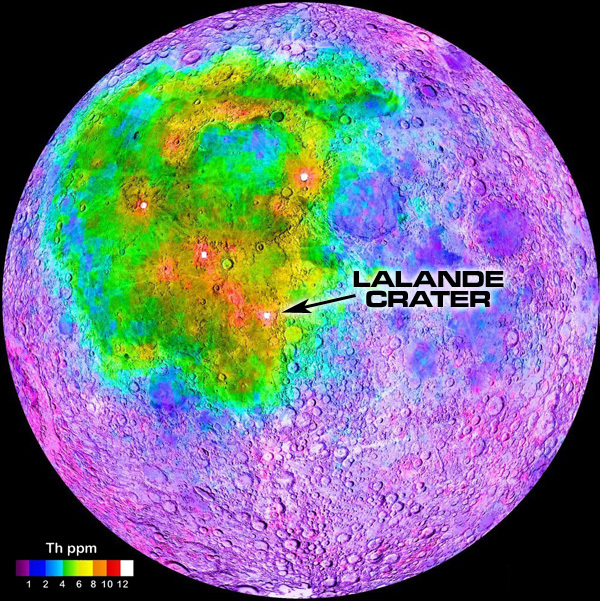 Unsurprisingly the Virtual Moon Colony Project figures a good place for a colony is at Lalande Crater, for ready access to thorium and KREEP.